Film buffs like to look at 1939 as the greatest single year in movie history, but 1975 wasn’t exactly a cheesefest itself. Examine that year’s five Best Picture nominees and you’ll find five classics. In addition to eventual winner One Flew Over the Cuckoo’s Nest, we find four others that easily could have taken home the Big Prize: personal favorite Jaws, Stanley Kubrick’s understated Barry Lyndon, Robert Altman’s seminal Nashville and Sidney Lumet’s edgy Dog Day Afternoon. As an aside, 1976 was another stellar year. Rocky won the Oscar that year though it was arguably the weakest of the five nominees. It went up against my personal pick All the President’s Men, Bound for Glory, Network and Taxi Driver. Take the 10 nominees from 1975 and 1976 and they easily top the 10 options from 1939. I doubt there’s ever been a one-two punch like 1975/1976 in the history of movies. Based on events that took place on August 22, 1972, Dog Day Afternoon introduces us to would-be bank robbers Sonny (Al Pacino), Sal (John Cazale) and Stevie (Gary Springer). Almost immediately after they announce their intentions at the bank, Stevie chickens out and departs. That leaves ringleader Sonny and slow-witted Sal on their own, where other problems immediately occur. While Sonny planned a quick grab and run, matters conspire to keep them there long enough for the authorities to arrive. This changes their robbery into a hostage situation. The movie follows the various interactions as we watch how Sonny deals with the events as he tries to succeed. I hate to be someone who laments how they don’t make ‘em like they used to, but in the case of the Seventies, that’s true. Movies enjoyed a brief period where edgy and unconventional was the norm. (Hmm… is that an oxymoron?) Films could be tougher and more no-nonsense, and that’s the tone that makes Dog effective. With its matter-of-fact depiction of events, one becomes tempted to call Dog “documentary-style”, but that’s not really the case. We never feel like we’re watching real-life filmed, and that’s a good thing. Dog offers enough verisimilitude to make it work, but it doesn’t rely on the cheap crutches of most documentary-style films. Those can sacrifice careful pacing and camerawork in an attempt to seem “real”, but they often fail. Instead, Dog - like All the President’s Men - prefers a simple tone that avoids overwrought melodrama. There’s more than enough drama on screen to make the events interesting. The filmmakers don’t need to goose that with theatrics or hysterics. In the face of the material, director Sidney Lumet’s restraint seems all the more admirable. The film offers many chances for events to become grandiose or over the top, but Lumet keeps them down to earth. That choice makes the movie more effecting and involving. It doesn’t shout at us to take notice of it. Instead, it draws us in with the basics. Dog comes from the era in which Al Pacino still knew how to act. I’d hate to see him try to play a character like Sonny today, as I’m sure Pacino would offer little more than bluster and bombast. There’s a smidgen of that in his performance, but not much, and he connects to Sonny’s conflicted soul. 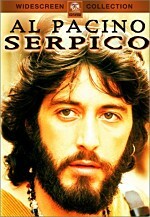 Pacino avoids easy choices to evoke our sympathy. In his short but remarkable career, Cazale often played not-too-intelligent characters. He remains best known as Fredo from the first two Godfather flicks, and his role in The Deer Hunter wasn’t exactly a genius. To his credit, Cazale always spun these parts to make them different, and that’s what he did with Sal. An underwritten role, Cazale makes the most of his quiet scenes and turns the character into something memorable. All of that goes for Dog Day Afternoon itself. It takes dramatic events and depicts them in a wonderfully understated way. It could have gone with absurdity and overwrought excess, but it preferred to let the material speak for itself. Footnote: it’s clear that Bill Murray and the others behind 1990’s marvelous Quick Change studied Dog Day Afternoon. The former film’s bank robbery sequence pays homage to Day on many occasions. I couldn’t suppress a smile when I saw each connection between the two. Dog Day Afternoon appears in an aspect ratio of approximately 1.85:1 on this Blu-ray Disc. This became a strong presentation. Sharpness appeared surprisingly good. Occasional shots demonstrated minor softness, but those never caused significant distractions. The majority of the movie showed good clarity and delineation. Jagged edges and shimmering seemed non-existent, and edge haloes failed to mar the presentation. Grain remained appropriate, and I noticed no signs of specks, marks or source flaws. Colors went with a natural palette that came across well. The interior shots were appropriately subdued, but exteriors showed surprisingly vivid tones. Across the board, colors looked clean and concise. Blacks were appropriately dark and dense, while shadows seemed good. Given its age and origins, I didn’t expect much from the transfer, but the film looked solid. The DTS-HD MA monaural soundtrack of Dog Day Afternoon was perfectly fine. Speech played the most important role. Dialogue showed reasonably natural tones and avoided much edginess or other issues. Effects came from environmental elements. Some louder bits occurred due to helicopters, planes and other vehicles, but since so much of the flick took place in the bank, we didn’t get much. They were clear and reasonably accurate. Music popped up only during the opening credits, at which time Elton John’s “Amoreena” played. The song displayed surprisingly good clarity and definition. Ultimately, the audio worked well for this movie. One footnote about the audio: during his audio commentary, Sidney Lumet makes reference to stereo sound for the film. Maybe I misunderstood, but this gave me the impression the movie originally came with two-channel audio. However, I can find no evidence it ever appeared in stereo, and it looks like all the home video versions have been mono. How did the 2015 “40th Anniversary” Blu-ray compare to the of the prior Blu-ray from 2007 ? Both appear pretty similar, as the old Blu-ray seemed satisfying. The 2015 version offers lossless audio which means a smidgen more kick, but there’s not a lot that can be done to improve 40-year-old mono material. Visuals also came across as largely similar. The 2015 Blu-ray offered a tad more detail and clarity, but not enough to make it a clear improvement. While I like the 2015 Blu-ray more, the 2007 release remains very good. The 2015 Blu-ray duplicates all of the 2007 version’s extras and adds new ones. We open with an audio commentary from director Sidney Lumet, who presents a running, screen-specific piece. Lumet discusses the movie’s lack of score and the inclusion of the Elton John song, cast, characters and improvisation, sets and locations, the movie’s naturalism and verisimilitude, and general thoughts about his work here and elsewhere. In addition to the basic data, Lumet offers a number of nice insights such as a comparison of LA extras vs. NY extras. I especially like Lumet’s thoughts on working with Pacino and the actor’s tendencies. There’s also less dead air here than during other Lumet commentaries; he still drags at times, but usually he keeps things moving. This commentary provides a very solid look at the film and its connected issues. Next comes from the four-part The Making of Dog Day Afternoon. Taken together, the four chapters fill 57 minutes and 50 seconds. These offer the usual mix of movie clips, archival materials, and interviews. We find notes from Lumet, producer Martin Bregman, screenwriter Frank Pierson, editor Dede Allen, director of photography Victor J. Kemper, assistant director Burtt Harris, and actors Al Pacino, Charles Durning, Lance Henriksen, and Chris Sarandon. We start with notes on how the true story was adapted for the screen and related choices, rehearsals and their effect on the script, casting and performances. From there we move through logistics of the locations, realism and photography, specifics of some scenes and characters, editing and pacing, and reactions to the film. Some documentaries do little more than echo audio commentaries, but happily, this one greatly expands on Lumet’s chat. Inevitably, some repetition occurs, but not enough to become tedious. It covers the facets of the production with candor, especially when we hear from Pierson. 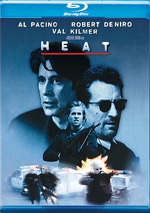 He offers terrific insights into his choices for the script, and Pacino also aptly conveys his original doubts and concerns about aspects of the film. The show gives us many fine details and fleshes out our understanding of the film well. Disc One ends with the movie’s trailer and a vintage featurette called Lumet: Film Maker. This 10-minute and one-second piece shows shots from the set and interviews with Lumet, vehicle supplier George Santana, boom man Bob Rogow, actor Carmine Foresta, and still photographer Muky Muncasi. We get some quick notes about Lumet’s working style and hear from the director himself about various production details. We learn most of this elsewhere, so “Film Maker” is moderately interesting just for some of the archival footage. A standard-def DVD, Disc Two boasts one major component: a 2009 documentary called I Knew It Was You: Rediscovering John Cazale. In this 39-minute, 57-second piece, we hear from Lumet, director Francis Ford Coppola, producers Brett Ratner and Fred Roos, brother Steve Cazale, friends Marvin Starkman and Robyn Goodman, playwright Israel Horovitz, film historian Mark Harris, and actors Al Pacino, Meryl Streep, Philip Seymour Hoffman, Sam Rockwell, Steve Buscemi, Richard Dreyfus, Olympia Dukakis, Robert De Niro, Carol Kane, John Savage and Gene Hackman. We get notes about Cazale’s life and career as well as an appreciation for his work. Too much of Rediscovering generates praise for the actor, so we don’t get as much insight as I’d like. We still learn a decent amount about Cazale, but the documentary would’ve worked better with more substance and less happy talk. We can watch the documentary with or without commentary from director Richard Shepard. In this running, occasionally screen-specific chat, Shepard discusses the program’s origins and development as well as the involvement of various interview participants and other aspects of the film’s creation. Shepard delivers a nice examination of different elements involved with the movie and makes this a brisk, informative piece. Next we find two extended interviews. These come from Al Pacino (19:47) and Israel Horovitz (22:32). Pacino mixes personal and professional thoughts about Cazale, while Horovitz focuses mostly on his non-work-related experiences with Cazale. Both offer nice insights and improve on their appearances in the final documentary. Disc Two finishes with two short films. We locate 1962’s The American Way (10:07) and 1979’s The Box (9:45). In the perversely comedic Way directed by Marvin Starkman, Cazale plays a beatnik who literally tries to blow up baseball, mom and apple pie. It’s a plot-free oddity. Box doesn’t feature Cazale as an on-screen presence. Instead, he works as cinematographer in this tale of a man who brings a new TV into his home. Also made by Starkman – and also without dialogue - Box seems more coherent than American Way but remains nothing more than a curiosity that attracts our attention due to Cazale’s involvement. Gritty and blunt, Dog Day Afternoon offers an unusual bank robbery flick. It goes down unexpected paths and benefits from a frank, restrained tone. The Blu-ray presents pretty good picture and audio along with a strong roster of supplements. 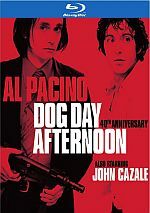 This becomes the best version of Dog Day Afternoon on the market, though I don’t think it improves on the prior Blu-ray enough to make it worth a purchase for fans who own the older release.